Mahindra which is popular for its SUVs like the Scorpio and XUV500 will soon be launching the highly anticipated XUV300. The company has opened bookings for the SUV and customers can either book it online or offline. Interested customers can visit any of Mahindra`s dealers across the country or access Mahindra`s official website to book the XUV300. 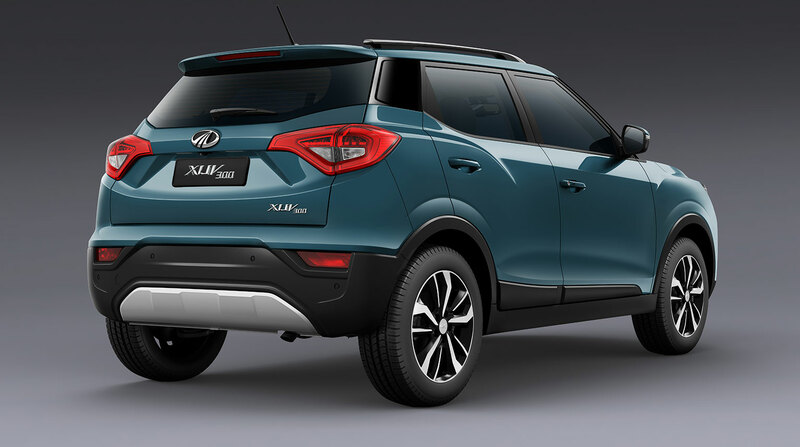 Scheduled to launch in February 2019, the Mahindra XUV300 will compete with the likes of the Tata Nexon, Ford Ecosport and Maruti Vitara Brezza. It will be priced in the Rs 8 – 12 lacs price range and will be equipped with segment leading features. The XUV300 is based on the SsangYong Tivoli platform and is a monocoque SUV unlike the TUV300 which a ladder on frame SUV. Mahindra has reduced the length of the XUV300 to under 4 metres to avail excise duty benefits which the Indian government grants on cars under 4 metres in length. The Mahindra XUV300 will be available with both petrol and diesel engine options. The petrol motor is a 1.2 litre turbocharged unit that is expected to develop 135 bhp of power. The diesel unit on the other hand is a 1.5 litre unit that pumps out 121 bhp. Coming to the torque figures the petrol unit generates 200 NM while the diesel produces 300 Nm. 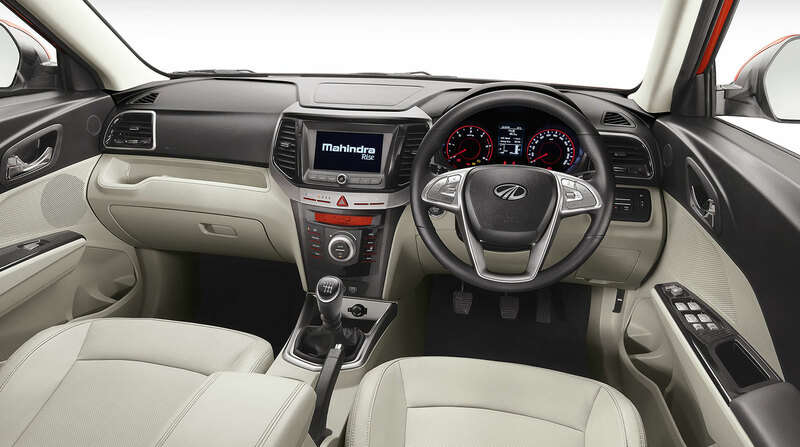 The XUV300 shares its diesel engine with the recently launched Marazzo MPV. The compact SUV will only come with a front wheel drive system and an all-wheel-drive variant has been ruled out. It will be available in 4 variants namely – W4, W6, W8 and W8(O). All the variants will be equipped with ABS, twin airbags, six-speed transmission, Disc brakes on all four wheels, 4 power windows and LED taillights as standard. The top of the line W8(O) variant will get 7 airbags, dual zone automatic climate control, sunroof, and front parking sensors. Mahindra will be manufacturing the SUV at its Chakan facility where the XUV500 and KUV100 are also built. The company also has plans to launch a 7-seat version of the XUV300 in 2020. The 7-seat variant will share its mechanicals with the XUV300 but will get an additional row of seats and a longer wheelbase. 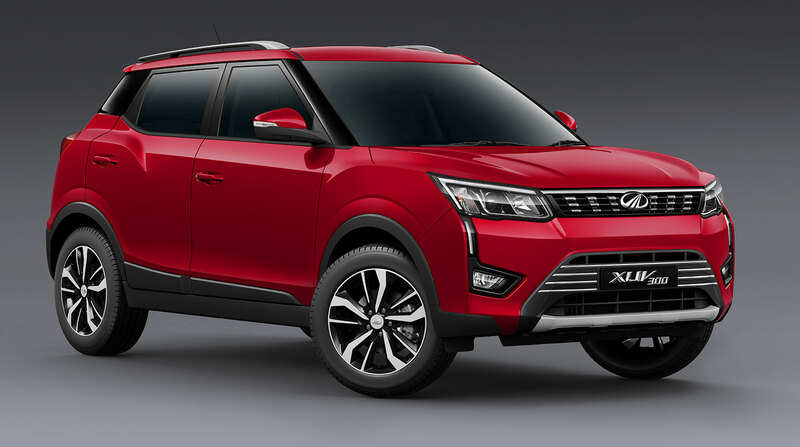 Apart from this, Mahindra is also planning to launch an electric version of the XUV300 in FY 2020. The XUV300 looks very promising with a striking design, premium interiors, best in class engines and segment first features. Mahindra has opened bookings for the XUV300. It will be available in 4 variants -W4, W6, W8, and W8(O). It will compete with the likes of the Vitara Brezza, Ford Ecosport and Tata Nexon.